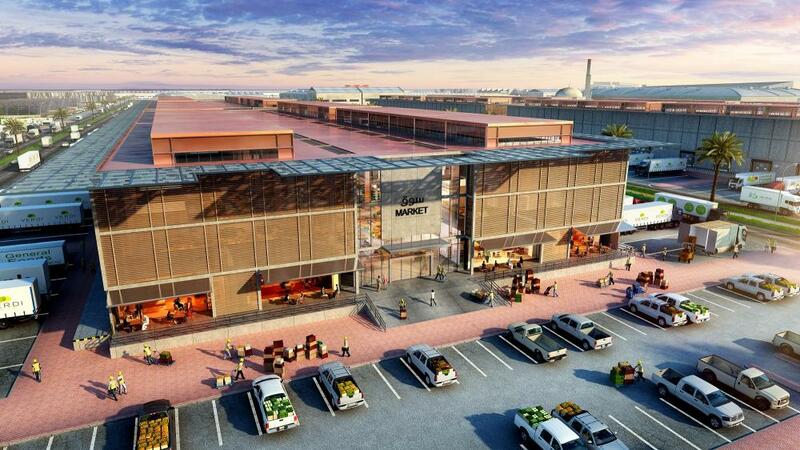 Dubai, United Arab Emirates: AETOS Wire: His Highness Sheikh Mohammed bin Rashid Al Maktoum, Vice President and Prime Minister of the UAE and Ruler of Dubai, has unveiled the blueprint for Dubai Food Park (DFP), the latest addition to Dubai Wholesale City (DWSC). To be developed at a cost of US$1.5 billion, first destination in the Middle East dedicated to serving the food sector. DFP seeks to enhance Dubai’s position as a leading regional hub for food trade, import, export and re-export of foodstuffs. Conceptualized at a time when food trade makes up 11 percent of the UAE’s GDP and the food industry is estimated to grow by 70 percent to US$6.3 billion by 2030, the Park will offer all categories of food wholesale services to meet the high demand of the food sector in the UAE and the wider region. DFP will span over 48 million square feet within DWSC, the largest wholesale hub in the world occupying 550 million square feet that will take shape over a 10-year period at an estimated cost of US$8.2 billion. The Park’s strategic location at the crossroads of East and West and easy accessibility to Dubai’s advanced logistics facilities distinguish it from other wholesale destinations worldwide. The Park will feature a central wholesale market serving the retail, hospitality and food service sector, a logistics area, complementary services area, handling packaged goods area, a facility for recycling organic waste, and a comprehensive range of governmental services including customs clearance, licensing, food safety and inspection – all under one roof. Benefiting from Dubai’s world-class infrastructure in land, marine and air transport, DFP will provide an attractive environment for business operators and global investors. The Park is set to play a vital role in supporting global food security, and fostering innovation across the sector.